Singled out as “musically outstanding and visually delightful” (Cleveland Plain Dealer), and for her ability to make “the intent of the music come to life” (Broadway World), Michelle Humphreys performs music of the Baroque and modern eras, with frequent forays into music that falls between. She plays percussion and timpani with ensembles around the east coast of the US (including Opera Lafayette, Tempesta di Mare, Washington Bach Consort, and Two Rivers Chamber Orchestra), and also as soloist—the last three seasons have included concertos with Two Rivers Chamber Orchestra, Maryland Band Directors Band, and Shepherd University Wind Ensemble. 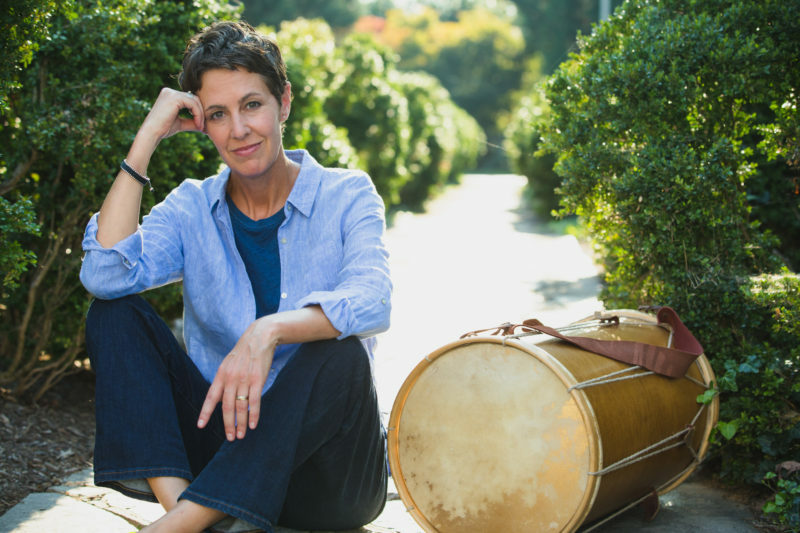 A dedicated and creative teacher, Michelle joined the faculty of Towson University in 2016 as Assistant Professor of Percussion, and serves on the artist faculty of National Music Festival. She is a member of the Vic Firth Education Team, a frequent clinician, and a proud endorser of Grover Pro Percussion and Zildjian Cymbals. Michelle has recorded seven French Baroque operas with Opera Lafayette for the Naxos label, including several modern-day premieres. Notable releases include Rebel’s 1745 Zelindor, Roi de Sylphes and Monsigny’s 1762 Le Roi et le Fermier. She also can be heard on the recent Chandos recordings Comédie et Tragédie, Vol. 1 and Vol. 2 with Philadelphia’s Tempesta di Mare, the DC-based Cantate’s 2012 release of Andrew Simpson’s Crown of Stars, and the 2012 CD Michael Colgrass: Percussion Music, 1951-1957. She holds a Bachelor of Music degree from Towson University, a Master of Music degree from the Eastman School of Music, and a Doctor of Musical Arts degree from the University of Maryland College Park. In between teaching, rehearsing, and performing, Michelle enjoys leisurely walks, cycling, and lazing about in the sun.